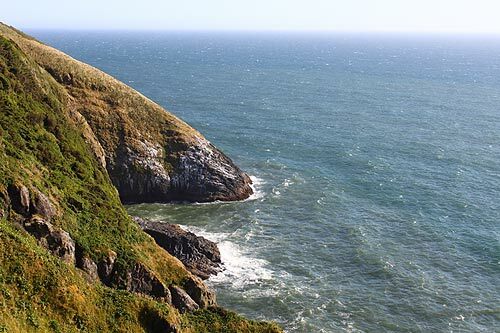 Every Day: Heceta Head Lightstation Tours. Free docent led tours at Heceta Head Lightstation (circa 1894). 11 am -3 pm. Heceta Head Lightstation is 14 miles south of Yachats on US 101. 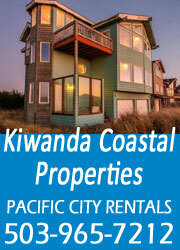 $5/vehicle/day use fee or valid OSP parking pass or Oregon Coast Passport. Yachats, Oregon. 866.547-3696. https://www.hecetalighthouse.com/. February 13. Art in the Kitchen, Wednesdays. Please bring your own art materials. A donation of $5 will help pay for the facilities. Everyone is invited to paint, sculpt, draw, etc. 1 p.m. Yachats Commons. Yachats, Oregon. https://www.facebook.com/Yachatsartsguild/. February 14. Ceremony of Renewal and Commitment. Offering couples the opportunity to renew their vows in a group setting. Both married and unmarried committed couples are invited to attend. This year the Log Church will offer the ceremony at two times – one at 12 noon and one at 5:30 p.m. Little Log Church. 328 West 3rd St. Yachats, Oregon. 541.547.4547. https://www.facebook.com/pages/Little-Log-Church-Museum/167109616632485/. February 23. Muriel O. Ponsler: Marine Debris Monitoring on the Oregon Coast. Data collected through this project can be used to evaluate the impacts of marine debris along our coastlines and can help inform future marine debris mitigation and prevention efforts on a local, regional, and national scale. 10 a.m. Muriel O. Ponsler Memorial State Wayside. Between Yachats and Florence. https://www.facebook.com/capeperpetuamarinereserve/. March 7. Yachats Big Band Dance. Listen, dance or both to the swingin’ sounds. 7 p.m. $5. Yachats Commons. 441 Hwy 101 N, Yachats, Oregon. 541.547.3626. http://www.yachatsbigband.com. March 22. Muriel O. Ponsler: Marine Debris Monitoring on the Oregon Coast. Contribute to science and clean up beaches touching Cape Perpetua Marine Reserve and Protected Areas. 9 a.m. Muriel O. Ponsler Memorial State Wayside. Between Yachats and Florence. https://www.facebook.com/capeperpetuamarinereserve/. March 23 - 30. Spring Whale Watch Week. Whale watch interpreters will be stationed locally at Cape Perpetua Visitors Center and Cook’s Chasm, just south of Yachats. 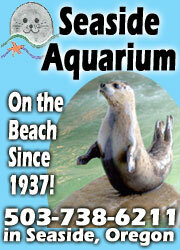 $5/vehicle/day use fee or valid recreation pass or Oregon Coast Passport. 10 a.m. Yachats, Oregon. https://whalespoken.wordpress.com/ 541-765-3304. March 23. 49th Annual Original Yachats Arts & Crafts Fair. Up to 80 Pacific Northwest artists and crafters selected for the superb quality of their art. Media include original paintings; handcrafted jewelry; art glass; pottery; furniture; water features; woodwork and mixed media; much more. 10 a.m. Yachats Commons. 441 Hwy 101 N. Yachats, Oregon. http://www.yachats.org. (541) 547-3530, 1-800-929-0477. March 23. SOLVE Spring Oregon Beach Cleanup. Head to your favorite beach or explore somewhere new at one of 45 check in sites from Astoria to Brookings. Bags and gloves are provided. Help make the event more sustainable by bringing your own bucket and/or sturdy gloves, and don’t forget your reusable water bottle! Volunteer: Registration for our 45 different project site locations begins on February 5th, 2019. 10 a.m. For any questions please email or call Larissa Gordon at larissa@solveoregon.org / 503-844-9571 ext. 332. February 23. Wurstfest. Fundraiser for vocational educational scholarship. Bavarian Folk Festival. featuring ‘live’ German Folk Music and Dancers and, of course, authentic German Food and Beer. The Festivities will begin at 11 a.m. Admission is $5.00 for adults, Children 12 and under are Free. Elks Lodge,1686 12th St., Florence, Oregon. 541-997-1067. February 27. Heceta Lighthouse B&B’s Exclusive Sunset Wine Tasting with Tyee Wine Cellars. A special opportunity to taste the extraordinary wines of Tyee served personally by the Tyee family who has owned the local farm where the winery is located and the grapes are grown for 134 years. 5:30 p.m. Heceta Lighthouse B&B. 92072 HWY 101 S. Yachats, Oregon. 866-547-3696. March 7. Heceta Lighthouse B&B’s 7 Course Brunch and Full Historic Home Tour. Each course is carefully presented by your server who will tell you about the local sourcing of the ingredients and interesting stories that inspired the recipe. Space is limited for this very special offering, so reservations are required! $60, per person, gratuity included. Heceta Lighthouse B&B. 92072 HWY 101 S. Yachats, Oregon. 866-547-3696. March 23 - 30. Spring Whale Watch Week. Whale watch interpreters will be stationed locally and around the Oregon coast 10 a.m. . https://whalespoken.wordpress.com/ 541-765-3304. March 30. Heceta Head Lighthouse Birthday Party – 125 Years. The lighthouse was lit on that day, 125 years ago. This is a free, community event with hot dogs from Taylor Sausages, refreshments, cupcakes, live entertainment, and special presentations by local agencies that all have been a part of Heceta Head Lightstation’s history. 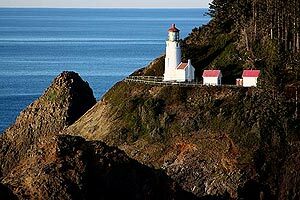 4 p.m. Heceta Head Lightstation is 14 miles south of Yachats on US 101. https://www.hecetalighthouse.com/. 866.547-3696.